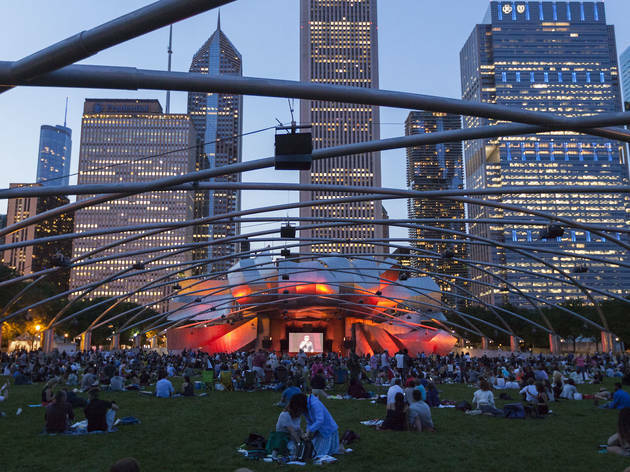 Summer can officially begin now that organizers have announced the complete lineup for this year's Millennium Park Summer Film Series. The downtown park will show free movies every Tuesday night starting next month. Things will kick off on June 5 with a screening of the classic 1988 dance comedy Hairspray. The series will close on August 21 with Slumdog Millionaire, the 2008 box-office hit about an 18-year-old who's accused of cheating when he's just one question away from winning 20 million rupees on an Indian game show. Other highlights of the lineup include Groundhog Day (June 26), Get Out (July 24), a double feature of WALL-E and Crash (July 31) and Coco (August 14). This year's screenings are presented in collaboration with local independent film festivals like the Chicago Critics Film Festival and the Chicago Comedy Film Festival. It's worth noting, too, that Millennium Park will up security this year, with a bag check along the perimeter of the park. 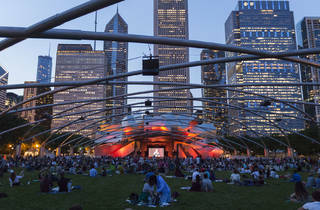 Don't fret: Guests can still bring outside food and alcohol into all of the Millennium Park Film Series screenings. Take a look at the full schedule below. All films will begin at 6:30pm unless otherwise noted.